Where do I use my Cotton Traders voucher code? Find an applicable discount from NetVoucherCodes then follow the link to Cotton Traders. Add your chosen items to your basket then click ‘Checkout’ at the top of the page. Log in to your account or Register to complete your order. Click on the Red ‘Enter Promotional Code’ box on the top right of the screen to add your code before you checkout. Follow the instructions to confirm your order. Cotton Traders has become one of the most recognisable brands in the UK through its line of simple, colourful clothing that features classic designs that are made to last. With clothing that is designed for all shapes and sizes, from XS up to 5XL and a range of delivery options to suit you, Cotton Traders continues to provide clothing, footwear and accessories to suit everyone. Discover everything from women’s trousers and knitwear to men’s belts and jeans to unisex clothing, trainers and socks. You can also enjoy a great home section where there tons of accessories and furnishings for your bedroom, bathroom and kitchen. Shop by category or via range such as the Christmas shop, partywear for him and her, gifts, basics, wrinkle-free products, denim, the Guinness range, the Help for Heroes range, rugby products, the technically perfect range and featherweight favourites. As well as all this you can also find buying and style guides to help you find the perfect fashion and home products, you can also enjoy tons of promotions, multibuys and a great clearance section. For an exclusive collection where classic, cool and perfectly chic styles come together to create a contemporary look for the modern woman visit the cotton edits tab which can be found on the Cotton Traders homepage. If you enjoy shopping at Cotton Traders, let your friends and family know about it. If you recommend a friend today you’ll both receive 10% off when you spend £25 or more on your next order. All you have to do is visit the recommend a friend page on the Cotton Traders website, enter your name and your chosen friends email address, then click submit! Shop for all your favourite items for less in the Cotton Traders clearance section. In this category, you can find men’s, women’s and unisex clothing all at discounted prices. You can also discover stylish and comfortable footwear and trendy home accessories too. Shop by category such as tops and t-shirts, coats and jackets, knitwear, swimwear, fleeces, trousers and shorts, shirts and blouses, dresses and skirts, jeans and loungewear and find exactly what you’re looking for at an affordable price. Browse through many clearance items and take a look at the last chance to buy section too where you can find end of line products that won’t be around much longer. In the footwear section at Cotton Traders, you can find new in products, shoes, boots, outdoor shoes, slippers, trainers, sandals, lightweight shoes, real leather footwear, real suede shoes, flexi-sole shoes, unisex footwear and clearance shoes. From rugged walking boots to comfortable stylish looks in premium quality leather, Cotton Traders has designs to suit all walks of life – in sizes 3 to 14. 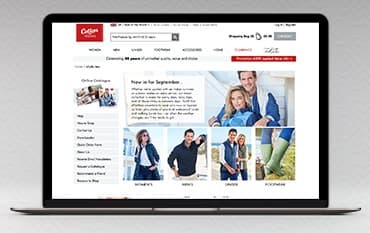 With a great choice of relaxed casual styles available as well as smarter looks and formal shoes, Cotton Traders has a great selection that will see you from season to season in style. Under Consumer Regulations you have the right to cancel your order as long as you do so no later than 14 days after the day on which you receive the goods or service. You should return the goods in their original packaging, wherever possible, within 14 days of informing Cotton Traders of your wish to cancel. To find the store opening times for your local Cotton Traders store use the Store Locator. Cotton Traders produces casual clothing for men and women, all of which is made of high-quality breathable cotton that’s both attractive and comfortable. Boasting a huge range of styles, Cotton Traders’ clothing is suitable for almost any occasion and comes in sizes to fit everyone. Stock up on classics with a Cotton Traders discount code and save money on everything from tops and t-shirts, to jackets, fleeces and jumpers, with a range of footwear and accessories available too.